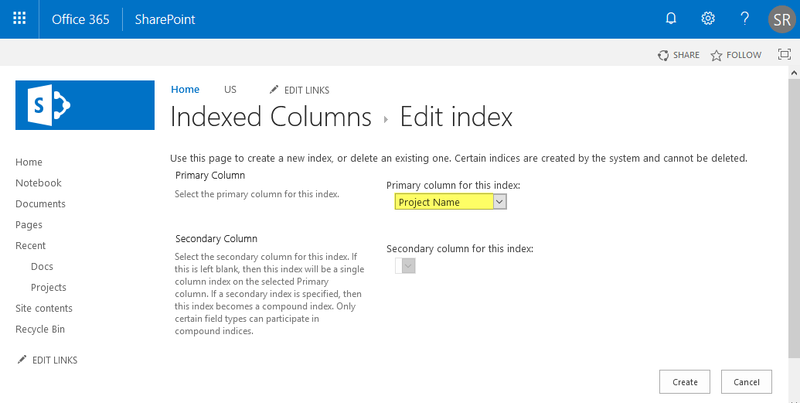 Requirement: Create Indexed column SharePoint Online. How to Add Indexed Column in SharePoint Online? Scroll down to the Columns section >> Click on Indexed columns. On the Indexed Columns page, click on "Create a new index". Select a column from the drop-down in the Primary Column section. Click on Create. This creates index on the list. You can create up to 20 indexed columns in any SharePoint list or library. Please note, not every column type can be indexed, Such as: Multiple lines of text, Multi-valued Choice, Lookup, Hyperlink or Picture, Calculated columns, Custom Columns, Multi-valued Person or Group, External data. Auto-Indexing feature in SharePoint automatically creates appropriate indices when your list approaches 5,000 items! Write-Host -f Green "Column Index Added Successfully!" Once you execute this PowerShell script, You should see "Project Name" field in indexed column. To remove the index from the column, set "Indexed" property to "False"
How to Download All Files from a SharePoint Site?